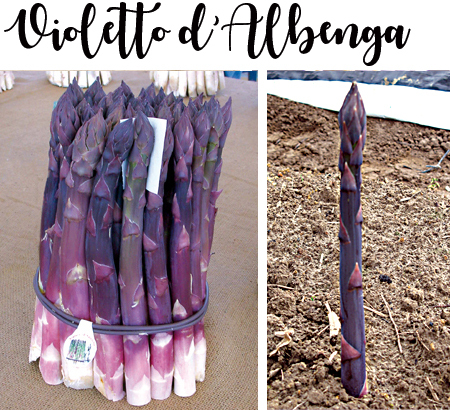 Local variety, Albenga area (Liguria). It is characterized for its deep violet bracts. The SPEARS are very large and deep purple color, uniform. While eating it is soft and buttery, non-fibrous and very tasty. The plant is susceptible to rust, Stemphylium and Fusarium. Its productivity cannot be compared with hybrids' one. It is suitable for both open field cultivation and for protected culture.